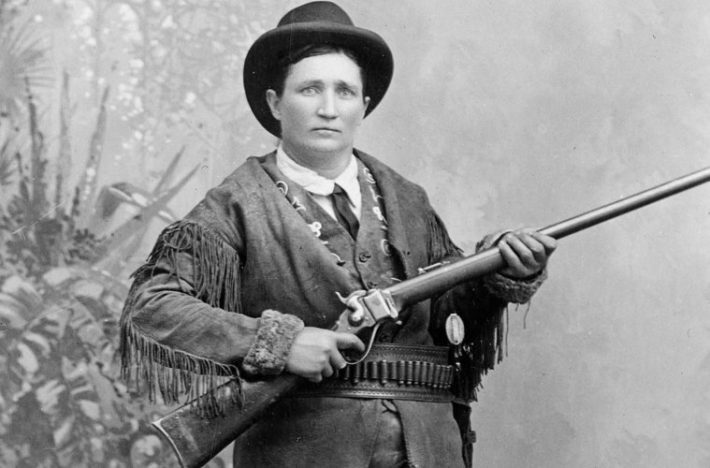 Martha Canary, better known as Calamity Jane, was a legend in her own time. Martha was born in Missouri in 1856, and had several younger siblings. Her father was a farmer and her mother a housewife who herself gained local notoriety as an eccentric with a volatile temper and a sharp tongue. When Martha was seven years old, the family left Missouri and headed “Out West,” first to Iowa and eventually to Montana. By the time Martha was eleven years old, both of her parents had died and she was alone in the world caring for the other children. This book carefully delves into what is always challenging about the life of Martha Canary. Martha was illiterate; there is no known record of her writing or even a signature. As her life evolved, she became a tough character facing a tough world. Martha Canary traded face powder for gun powder, smoked cigars, drank whiskey, chewed tobacco, used rough language, drove mules and ox teams, quite possibly was involved in prostitution and during her drinking bouts was notorious for entertaining her bar buddies by howling like a coyote which resulted in her being thrown into jail more than once. Martha’s reputation reached the ears and imagination of eastern writers who featured her character as the protagonist in a large collection of dime novels designed to entertain and shock eager readers anxious to learn about life in the Wild West. Martha did travel in 1876 with General Crook’s expedition organized to fight the Sioux Indians. Known as the Big Horn and Yellowstone Expedition, the group consisted of nearly nine hundred officers, enlisted men, scouts and civilians. They headed up the Bozeman Trail with eighty supply wagons. Martha Canary was involved in this adventure, but her real role is difficult to pinpoint. She claimed later to have been a scout whose bravery dubbed her the nickname “Calamity Jane” when her derring-do saved one of the officers during an Indian attack. However, it is likely that she was merely a cook, or even a camp follower, since there is no official military record showing that she was hired as a scout. It is true she was an eccentric woman who, long before it was socially acceptable, dressed like a man, drank, smoked, brawled, swore and fought her way in a rough and tumble frontier world. 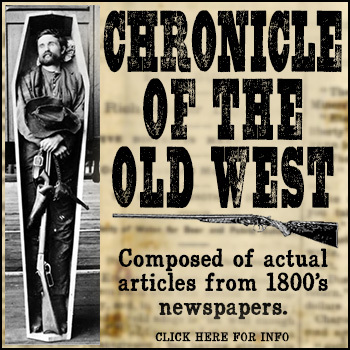 She did travel with a Wild West Show for a time, she did live in Deadwood, she did meet Wild Bill Hickok but it is highly unlikely there was a romance between them. Calamity was probably married at least once and gave birth to a daughter named Jessie. This poor child raised by an alcoholic mother and with no real father figure in her life, became a troubled person who in her old age was confused as to whether Calamity was her mother, grandmother or aunt. 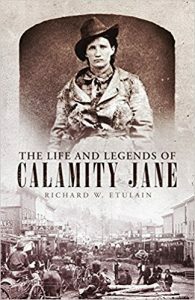 This biography of Calamity Jane covers every facet of her life beginning with her ancestors to her death from alcoholism in Deadwood at age 47, in 1903. In her last years she sold a pamphlet filled with tall tales she dictated about her life. Readers were less interested in historical accuracy than entertainment. Since her death, numerous biographies, dozens of novels, hundreds of magazine articles and nearly twenty Hollywood movies have featured Calamity Jane. From Doris Day to Angelica Huston, audiences have been treated to a gun-totin’ tobacco spittin’, buckskin clad gal who aimed to git her man with a gun. If you want to know anything about the life and legend of Calamity Jane, this is the book for you. The author has spent many years delving through books, articles, archival collections, old newspaper stories and family reminisces to set the record as straight as possible. 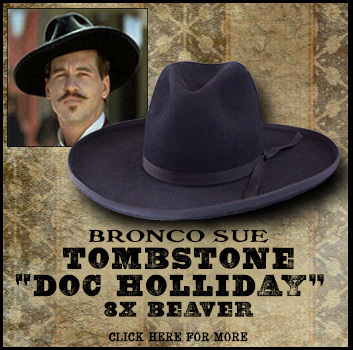 But remember, once Hollywood gets hold of a character with a name like Calamity Jane, Billy the Kid, Wild Bill Hickok, Jesse James, Doc Holliday, Wyatt Earp or Johnny Ringo, there will never be an end to it.